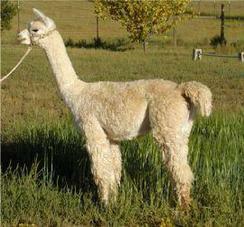 A light fawn female, Topaz Moon, is a full Peruvian sired by Durazno's Dynasty (a Uribe son). Her dam is Autumn Glory Rose, a Munacoy daughter. 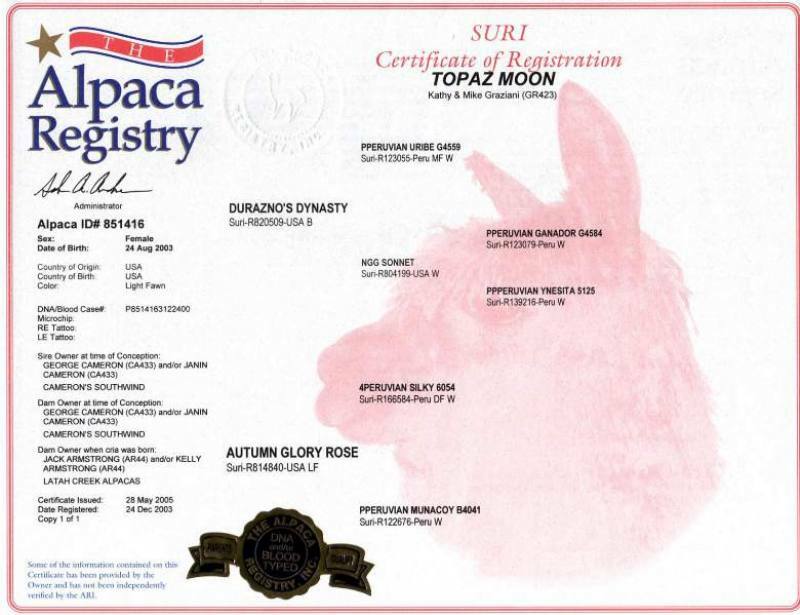 Topaz Moon started her breeding career early and was never shown. 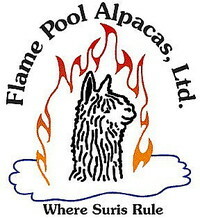 Her MacGyver son, Polnaya Luna, won a fourth at MAPACA 2007 as a yearling. 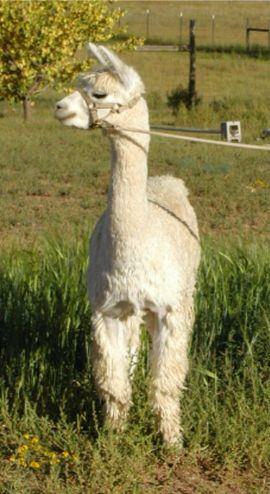 Moon was bred to Hotazel, a dark brown MacGyver son, and gave birth to a dazzling white girl last week.